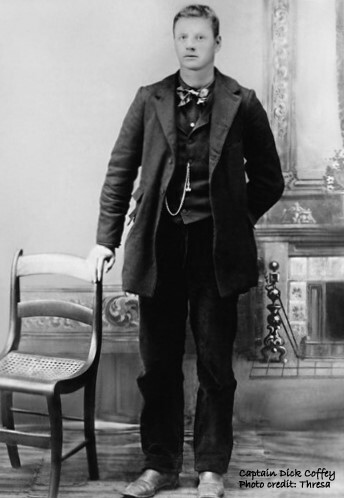 Captain was one of the nine sons of Joseph and Beth Ada Strunk Coffey of Kentucky. He and Beth Ada were parents of at least 13 children, all born between 1854 and 1880 in KY and TN. Captain was born on Jan. 19, 1872 in Flat Rock, McCreary Co., KY and died in Oneida, Scott Co., TN. on Oct. 25, 1950. His bride was Lettie J. McBride to whom he was married on Mar. 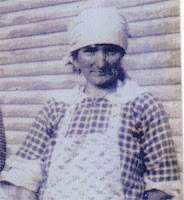 19, 1901* in Scott Co. Lettie was born in Oneida in 1881 and died in Scott Co. in Jan., 1926. Both are buried in the Coffey Cemetery** in Oneida. Maude, born 1902, Scott Co., TN, died 1990 in Anderson Co., TN. She married Elmer Davis in Scott Co., 1922. He died in 1975. Ada, born 1903, Scott Co., died 1984 in Scott Co. Married Arnold George Lewis, born 1900, died 1967. Jefferson, born 1906 in Scott Co., died 1930 in Boyd Co., KY. Married Nellie Richmond in 1923, Scott Co.
John "Johnny", born 1907 in Scott Co., died there in 1976. Married Stella Phillips in 1931, Scott Co. One son I know of, Lee, born 1934 in Scott Co.
Emily, born 1911 in TN, died 1930 in KY.
Rev. Walter Othel, born 1913 in Scott Co., died 1974 in Fayette Co., KY. His wife was Mamie Matilda Baltimore, daughter of Ben and Mamie Donelson Baltimore, born in Sparta, White Co., TN in 1915. 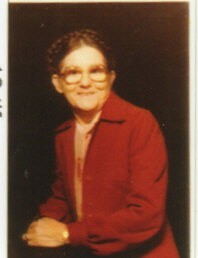 She died in Pine Knot, McCreary Co. in 1986. They were married in Cooperative, McCreary Co. in 1932. Children: Joyce, Shelby, Patricia, Johnny, Ronnie, Phyllis, Charles and Donna Sue (not in birth order). Walter and Mamie are both buried at Pine Knot cemetery. Their last child was Ome, born 1916 in Oneida, died 1937 in Boyle Co., KY.
More info is available on DVD or CD. *"Tennessee, State Marriage Index, 1780-2002," index, FamilySearch (https://familysearch.org/pal:/MM9.1.1/VNCG-QRD : accessed 28 Nov 2012), Captain Coffey and Lettie Mcbride, 1901. **Lat: 36.50440, Lon: -84.52310. Look north of the intersection of US 27 (Depot St.) via W. 3rd to Stanley St.